The revolutionary Affordable Care Act passed by the congress in March 2010, shows a new horizon of health care opportunities to the Americans. The new laws of the Act will give a whole host of facilities like coverage for the previously uninsured Americans with pre-existing medical conditions, lower health care costs, guaranteed access to health care and an enhanced medical care for all Americans. So, what are the main features of this act that’s going to change the situation for the suffering and ailing Americans? The Affordable Care Act would enable you to hold your insurers accountable and get the most from your health care in low budget. The laws make sure that your insurer spends most of your money in improving healthcare services. By 2014, all health plans will be curbed of Lifetime dollar limits. There’s also the Rate Review program that protects from the inconvenience of unreasonable premiums cost raise. According to the Act, a young adult under 26 can be under his/her parent’s health insurance. The enactment of the Pre-existing Condition Plan ensures that Americans, who were denied a health insurance earlier for a pre-existing medical condition, can now get coverage. The establishment of state based Affordable Insurance Exchanges will give the opportunity to shop around for health plans from 2014. Small-time entrepreneurs would be able to get insurance from CO-OP, the non-profit health insurer. The laws give you the right to be in charge of your own health care and relieve you of the anxiety of all the decisions taken by your insurance company. The Act gives you the rights to file complaints, learn about rights through Consumer Assistance program. You may avail recommended preventive care at no cost. The Patients Bill of Rights ensures consumer protection and information to choose health care. Children under 19 can’t be denied coverage for pre-existing conditions. You may choose a doctor within your plan’s network and avail emergency treatment in an out of network hospital. Insurers won’t be able to cancel a policy for honest mistakes in application. The Act provides a lot of convenient programs included in Medicare for the senior citizens. This involves several free preventive services, prescription drug discounts for seniors in the ‘donut hole’ situation. Apart from this there would be rebates and an overall reinforcement of Medicare services. The Affordable Care Act is also going to make health care easier and cheaper to the employers and service holders. Tax credits of non-profit insurers are going to cut down costs for providing insurance. Early Retiree Reinsurance Program is going to give financial help to the employers, who give such provisions to their employee. The benefits of the Act can be fully achieved only if there’s an overall improvement in medical practice. 1. The expansion of the electronic records usage, for the purpose of all decision making supports. 2. To improve medical care, a non-physician team of care providers like nurses, assistants and dietitians to be included. 3. Special focus on the patient’s experience of recovery under care providers. 4. Bundled payment and incentive programs to be participated by physicians and patient care teams. 5. Provisions to be taken to reduce the risks of hospital-acquired infections. 6. Administration simplification of medical offices, to acquire savings. 7. Techniques to monitor patients outside hospitals, such as electronic monitoring or home visits. 8. Specific patient population based research to come up with appropriate care. 9. Encouraging discussions by physicians to share decision making sessions and treatment goals. 10. 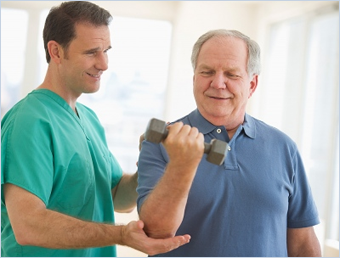 Proactive preventive care management to reach out to patients, urging them to get recommended tests. The affordable Care Act, thus does not only concentrate on medical insurance based issues but also seeks to give the entire medical care experience a new meaning for all Americans. This act when fully implemented, hopefully by 2014, will bring about a great change in the field of medical practice.